"Ozomax Body Mate 19 in 1 Body Massager is modern massaging therapy , whether you are seated , standing up or lying , you can use it any time and anywhere. 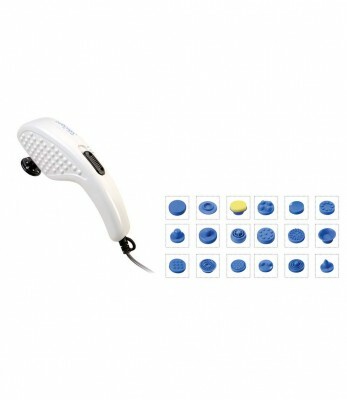 Vibrating massage can help relieve fatigue relax the whole body ease stress and helps promote blood circulation . Body Mate 19 attachments enables convenient massage of any part of the body such as: head , neck , shoulder , back chest , hand and leg etc. • A good massage can help to relax & renew your youth."